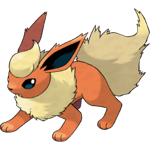 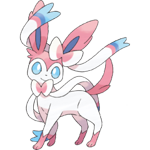 Eevee is the one-hundred-and-thirty-third Pokemon on the National Pokedex and was introduced in Generation I (Red, Blue, Yellow). 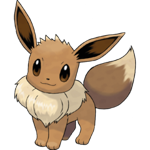 Eevee is a Normal type Pokemon. 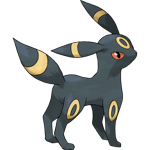 It is a Basic Pokémon that can evolve into 8 different Pokémon. 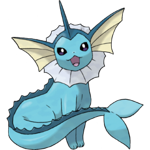 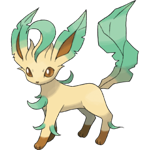 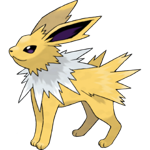 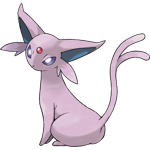 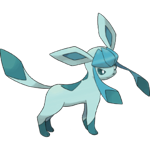 In Generation 1, it can evolve in to Vaporeon by using a Water Stone or Jolteon by using a Thunderstone or Flareon by using a Fire Stone or Espeon (starting in Generation 2) by happiness during the daytime or Umbreon (starting in Generation 2) by happiness during the nighttime or Leafeon (starting in Generation 4) if it is leveled up in an area containing a Moss Rock or Glaceon (starting in Generation 4) if it is leveled up in an area containing an Ice Rock or Sylveon (starting in Generation 6) if it knows a fairy move and has an Affection level of 2 in Pokemon Amie.